"Bananas" by Paul McGehee. Also known as "plantains," bananas are popular from the Americas to Africa to Asia. People have been eating bananas for more than 15,000 years. Bananas are originally from the Malaysian rain forests of Southeast Asia. In the 1500's, Portuguese colonists (bringing the fruit from western Africa) started the first banana plantations in the "New World" in the Atlantic islands and in South America. North Americans began consuming bananas on a small scale (at premium prices) shortly after the Civil War, though it was only in the 1880's that having the delicious yellow fruit on the menu became more widespread. In those early years bananas were not widely known in Europe, although they were available. Today, there are banana growers who produce for the world market in the Windward Islands of the Caribbean...they are known for the growing the delicious "Cavendish" banana, popular in Europe and North America. In the Caribbean, farmers who make their livings cultivating other cash crops also grow bananas...the hearty plants require very little effort to grow and bring in much-welcome extra income. Eaten straight from the peel or cooked in many delicious ways, Bananas are acknowledged to be the most popular fruit in the world. It is estimated that people around the world eat more than 100,000,000,000 bananas each year! 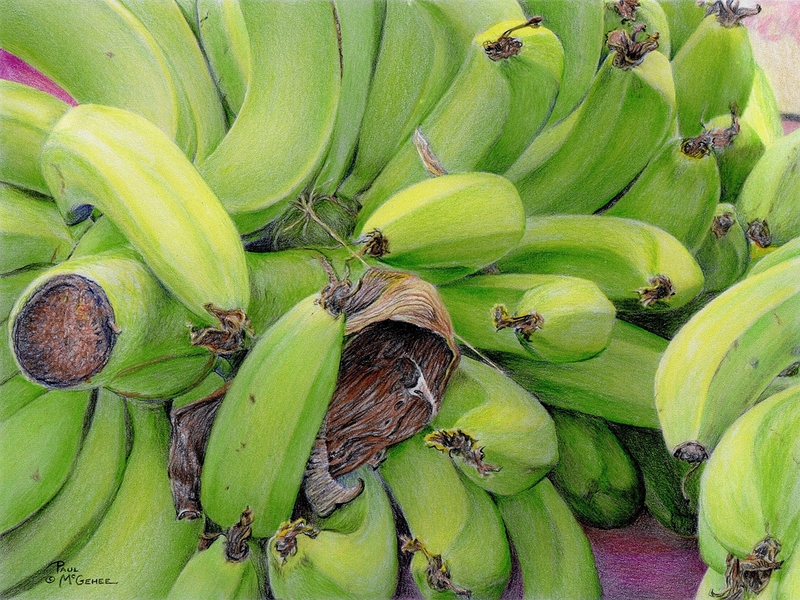 "Bananas" is an archival quality limited edition print of only 500 pieces, faithfully reproduced from Paul's original color pencil drawing, each print hand-signed by the artist. 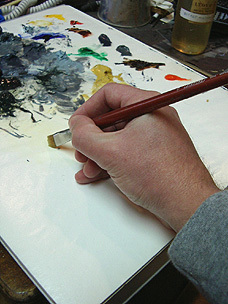 Print image size: 10 3/4" x 14 1/4". Edition size: 500 S/N.